The term “vegan” has received criticism and debate abounds about whether we should even be using the term. 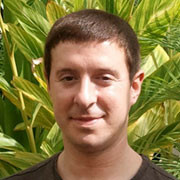 Today Vegan Publishers’ own Casey Taft discusses why we need to embrace the “V” word. It seems that these days, the term “vegan” is under constant attack from those both within and outside the animal rights community. This is an issue of critical importance because it has implications for how we define ourselves, what our goals are as a movement, and how we can work together to end all animal use. Some view veganism as a diet only. This definition couldn’t be any clearer. While it’s true that some incorrectly view veganism as a diet, this does not mean we need to eliminate the word. 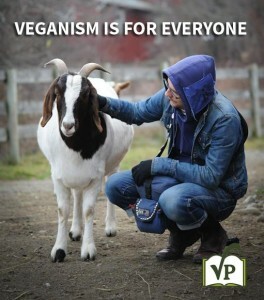 Rather, we need to consistently emphasize what veganism truly means and educate others. Our avoidance of using the term only serves to increase confusion about what it means. 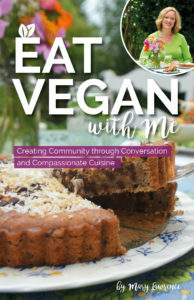 From the beginning, veganism has been an issue of social justice and we should educate others so that they understand what it means to be vegan. Many non-vegans view “veganism” as a derogatory term. There is a negative connotation that goes along with this word. “Feminism” is a derogatory term to many as well. Does that mean we should eliminate the word? Of course not! As with any social justice issue, there will be those who vehemently disagree with the end goals and will therefore characterize the movement in various negative ways. If we feel ashamed to call ourselves “vegan,” we internalize the dialogue used by those who would like us to fail. This is the exact opposite of what we should be doing! We should be proud to call ourselves vegans and we should always emphasize that veganism is about justice and kindness towards others. Using any kind of label naturally splits people up into groups and serves to divide us. By this logic, we should also not use the term “vegetarian.” We have terms to define everything. Words are the foundation that makes language possible. As a social scientist, I recognize the value of clearly defining our constructs and belief systems or else we will not be able to communicate about them. There is no better word than “veganism” to describe what veganism actually means. The word conveys that we attempt to avoid doing harm to animals as much as is possible. I’m not aware of any other term that captures that same definition. If we ditch “vegan,” we would suffer from a lack of clarity in our communication around animal rights issues to those whose behavior we most want to impact. For this very reason, we are more likely to be divided as a movement if some proudly wear the vegan label and others reject it. There are enough barriers that separate those who advocate for animals; how we describe ourselves need not be one of them. Being vegan is not enough. Some animal rights activists believe that to simply be vegan does not capture the actions necessary to truly achieve an end to all animal use. In other words, to be “vegan” means to abstain from consuming certain “products” or services, and is largely passive rather than active. It is undoubtedly true that the degree to which animal abuse is embedded in our societal structures makes it imperative to actively advocate for others and speak out against entrenched oppressive systems. This requires an active, energized movement of individuals who not only abstain from harming animals, but also actively work to end animal use and abuse in all ways. That said, the term “vegan” does not become obsolete when one espouses this view. Rather, it can simply be said that we need to promote veganism, but it is not enough for us to simply live vegan without engaging in other animal advocacy. The end goal of veganism is entirely consistent with the view that we need to end speciesism and all animal use, or achieve “animal liberation.” These terms and concepts are compatible, not mutually exclusive. Here again is why it’s important to have common language and consistent terminology across individuals and organizations who all want the same thing. When animal rights groups reject or distance themselves from veganism, others may not understand what they stand for, or else assume that the end of all animal use is not an explicit goal. Misunderstandings can divide those who are otherwise on the same page just because of a lack of clarity and consistency. I won’t use the word because people are so defensive about it – if you’re at all flexible or even pragmatic (eg: I’ve already bought the product, I might as well use it up) – you’re not Vegan Enough and have no right to use the term. so I use ‘plant-based diet’ and just don’t talk about the other stuff. Cruelty-free cosmetics are a nobrainer anyhow. Also avoids the “How do you know somebody is a vegan? Don’t worry, they’ll tell you.” thing. I am proud to be vegan. No cruelty cosmetics are not non brainer, I have plenty of friends who use any cosmetics and I bang on about it to them because they are my friends and don’t mind to be bothered by me. I don’t go about preaching because this has an opposite effect but am proud to say that I turned 3 people into vegans in my life without saying anything to them, they stayed with me and saw how easy it is. Refusing to admit to be vegan is not very brave, how can we change the world then? As vegans we want things to change for better for animals and we are their voice . Wholeheartedly agree. Very well put, Casey! All this controversy over the word threatens to push people out, when what we want to do is *draw people in* to the movement. As long as it’s used in its fullest sense—a commitment to non-abusive living rather than a mere diet— I don’t think it’s all that problematic.